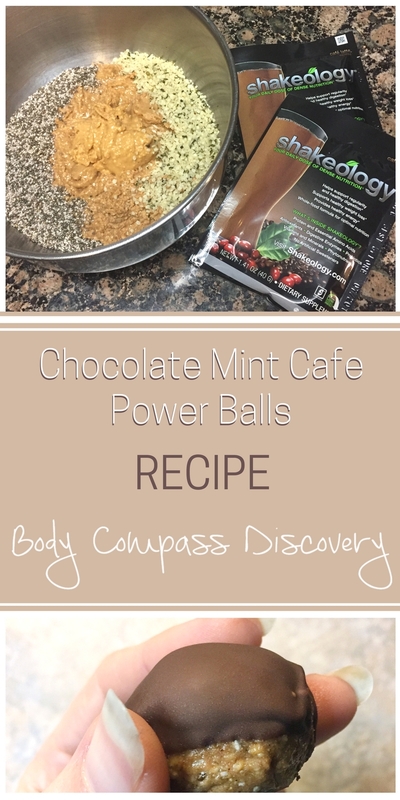 Power balls can be a real treat! Chocolate and mint always go well together, chocolate and peanut butter make a winning pair and chocolate and coffee are a delicious duo too. How about combining all of these into a perfect mix of flavors? Then of course, lets throw some superfoods in too! A dessert that benefits your body is the best kind to indulge in! 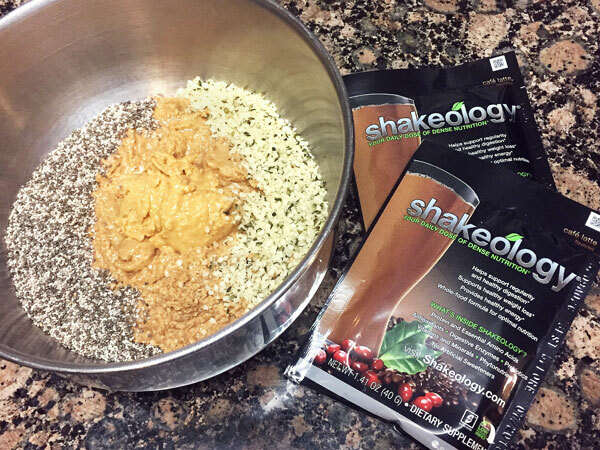 These Shakeology dessert power balls are filled with some superseeds and lots of protein! Nuts are optional but they give a little extra crunch. They take less than 10 minutes to prepare and less than 10 ingredients! 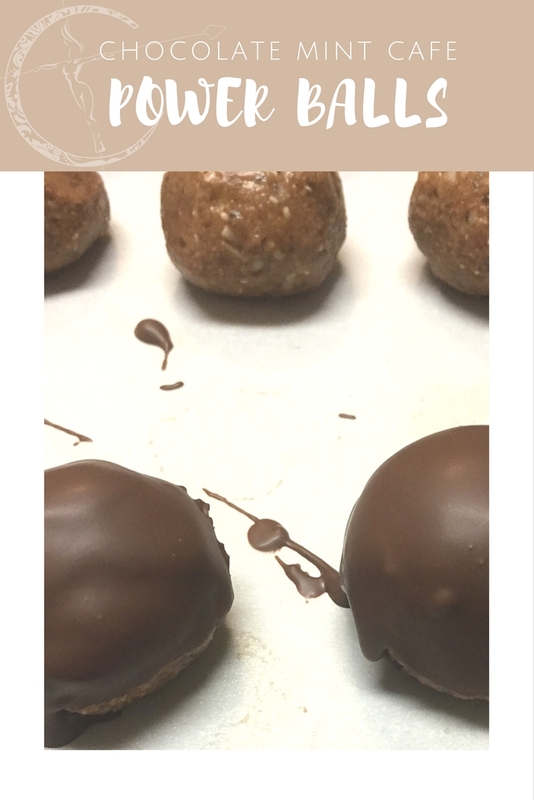 Melt the coconut oil and mix all ingredients together (except for the chocolate), then roll into balls. You can use any nut butter of your choice in case you have an allergy for peanuts. Not sure where to get a cafe flavored protein powder? 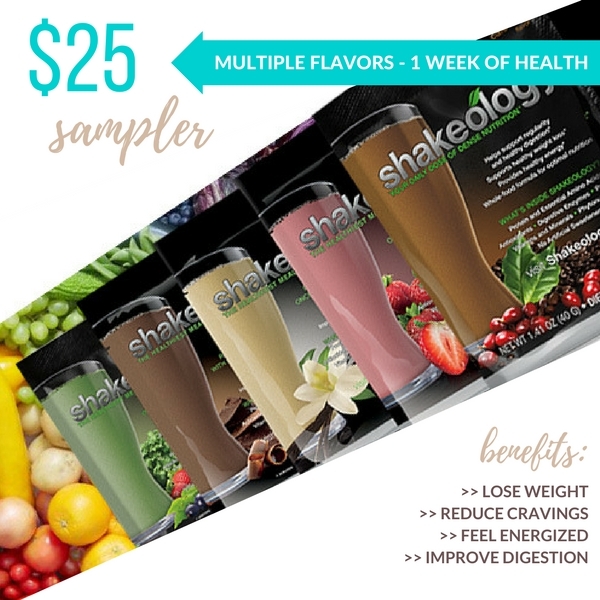 You can purchase Cafe Latte Shakeology through me here or simply send me a message! This is a superfood protein powder that I often add to my smoothies. It has all natural and raw ingredients, plus a strong taste of coffee! If you want to try it out before getting a month supply you can always purchase a sample pack from me. This includes a variety of flavors, but I’ve got plenty of recipes for you to test out smoothies and other treats! You can get a vegan version too! Place on a pan with parchment paper and let harden in fridge for at least 20 minutes. Melt the chocolate in the meantime. Remove the balls and individually dip into the melted Andes Mints and then place back on parchment. The chocolate should harden quickly into a shell around the ball. Store in fridge…. after taste testing a few first of course! 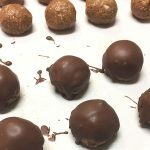 Peanut butter balls filled with seeds, nuts and cafe flavored protein powder coated in mint chocolate. 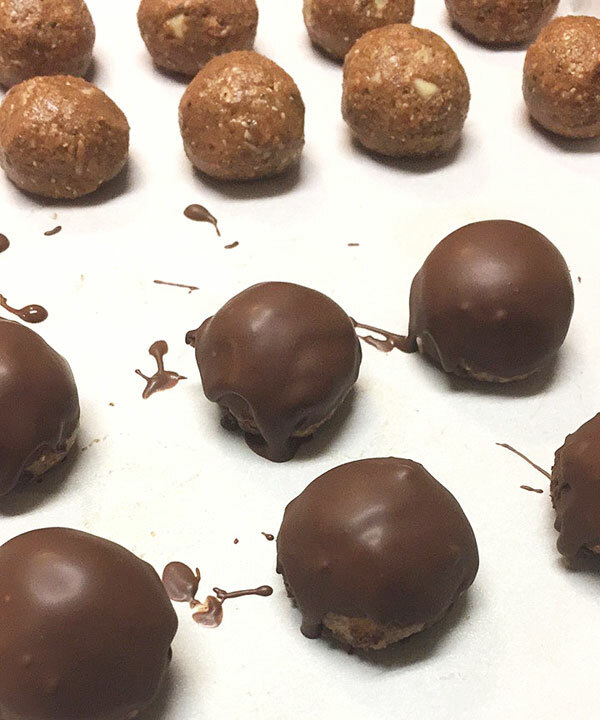 Melt the coconut oil and mix all ingredients together (except for the chocolate), then roll into balls. Place on a pan with parchment paper and let harden in fridge for at least 20 minutes. Dip into melted chocolate and place back on parchment. The chocolate should harden quickly into a shell around the ball. Store in fridge! If you have an allergy to peanut butter you can use a nut butter of your choice. These are soooo good! 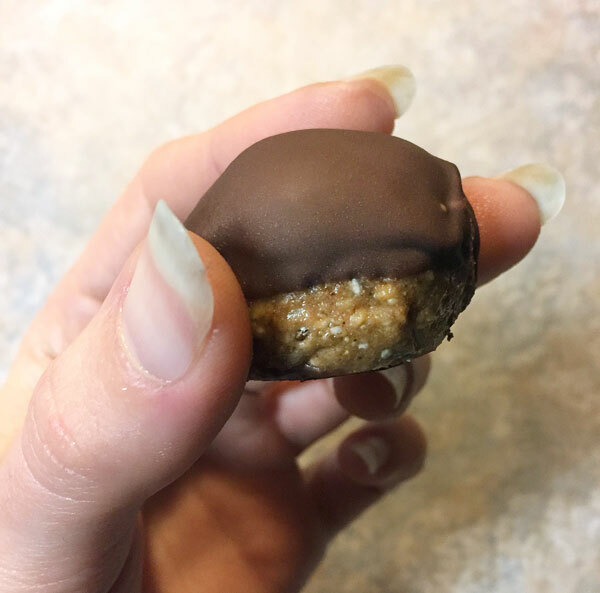 What I love most is they make for a great healthy dessert option because they satisfy the sweet tooth but are also protein packed and filled with superfoods. It’s the perfect amount of chocolate and healthy fats, with just a touch of sugar so you don’t feel guilty for treating yourself! 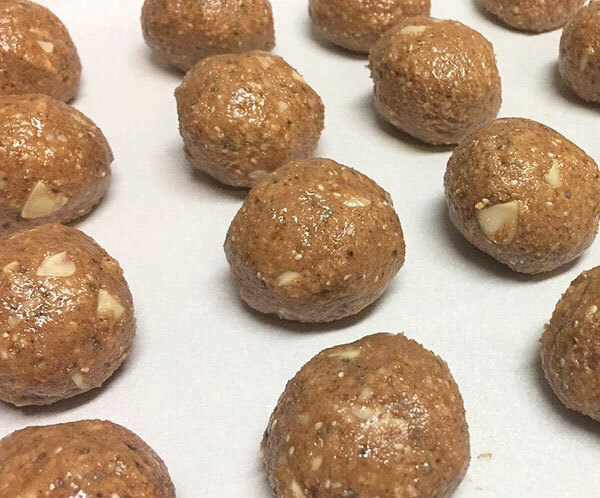 For another energy ball recipe using Shakeology try out these Strawberry Almond Superseed Energy Balls! They are a little quicker because they don’t have the chocolate coating. I’m all about Shakeology dessert options, so I also made some delicious Peanut Butter Banana Muffins with a Strawberry Shakeology Frosting.